Dental emergencies can be both painful and frightening. It’s hard to know what constitutes an emergency, whether you should visit your dentist or the emergency room, and what steps you can take on your own to minimize the damage until you receive professional care. If an unfortunate accident has taken place, and you are unsure what to do, follow this guide to best handle the situation. One of the most important things to consider is whether or not your injury requires immediate care or whether it’s something that can be dealt with during your dentist’s regular office hours. This is especially important if the injury occurs during the night, on the weekend, or while on vacation. Your dentist is the first person you should contact. Even if the office is closed, there may be an emergency number or instructions on the answering machine. If this doesn’t work and you’ve exhausted your options, you should head to the emergency room. You should also go to the hospital if you are experiencing bleeding that will not stop. Another common dental injury is a tooth that is completely knocked out. If this happens to you, stay calm and call your dentist. 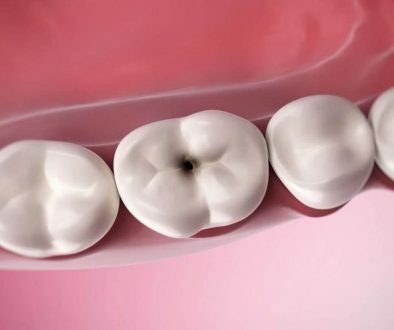 You may need an implant, but there’s also a fair chance that you may be able to keep your tooth. Here are some things you can do before receiving care. Pick up your tooth by the crown (part you bite), and not the root (the pointy end). Touching the root could damage the tissue that is needed to replant the tooth in the socket. For adult teeth only, try to get the tooth back in the socket. Only do this if you feel comfortable trying. To help you visualize how the tooth should be reinserted, examine the same tooth you have on the opposite side of your mouth. Be careful not to reimplant it the wrong way. Also remember to handle the crown and not the root. If you reimplant the tooth the correct way, there’s a good chance you might be able to keep it, thought you might need a root canal. If you can’t get the tooth in the socket, rinse any dirt off, and keep it in a container of milk or saliva, and get to a dentist as soon as possible. Try to get to a dentist or the emergency room within an hour of the tooth getting knocked out. Dental emergencies are no doubt painful but the good news is that they are often not as severe as other medical emergencies. Remember to stay calm, examine whether your issue is urgent and seek immediate care if needed.